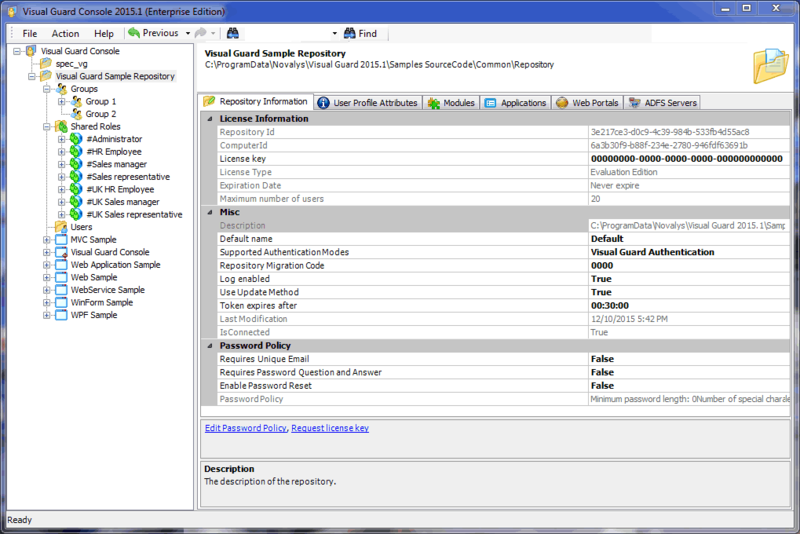 This page presents the VG WinConsole, a Windows Application provided by Visual Guard for Access Control Administration purposes. 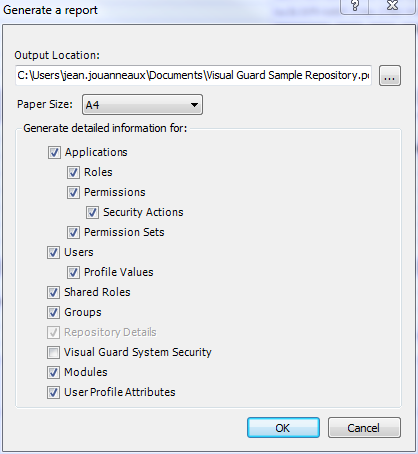 Visual Guard also provides VG WebConsole, a Web Application designed for non-technical administrators and supporting a Distributed Administration Model. You can read more about the VG WebConsole here. The VG WinConsole includes a User Management module. The Administrator can also declare Windows Accounts and Windows Groups in the VG Repository, in order to grant them Roles and Permissions. 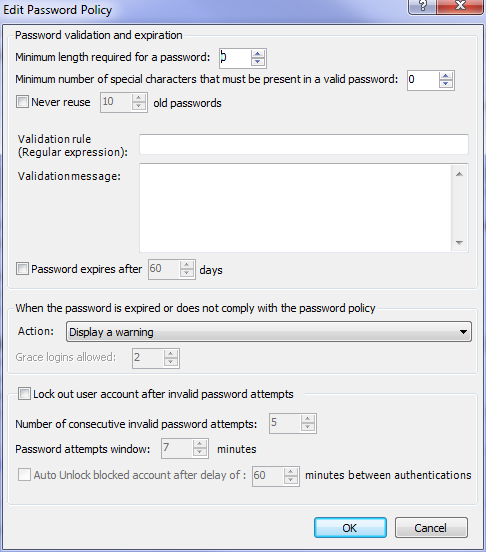 For Username/Password accounts, the Administrator can define a specific Password Policy to comply with internal security policies. 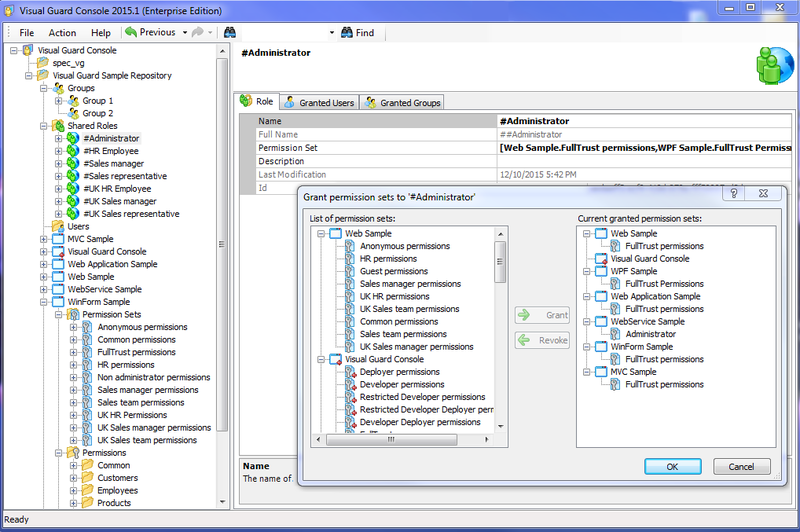 The VG WinConsole includes a Permission Management module. This module allows developers to define the permissions related to their application. 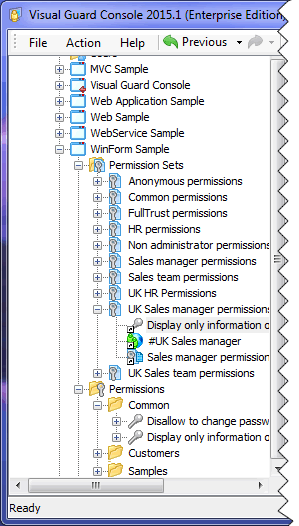 For more flexibility, developers can define a hierarchy of Permission Sets: each one inherits its Parent’s permissions. Whenever necessary, developers can use the VG*DynamicPermissions technology: the actions that change the application when the permission is applied are defined with the VG WinConsole, and Visual Guard dynamically executes these actions when the application is running. Your code remains unchanged: you do not have to write or maintain any security code in your application. You can read more about VG*DynamicPermissions technology here. 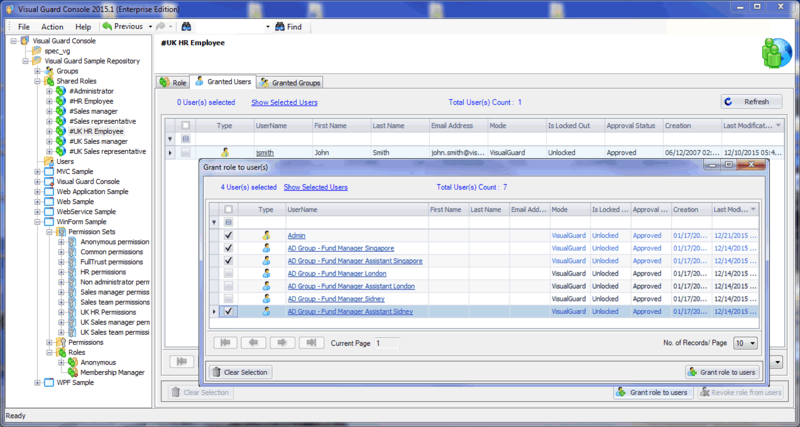 The VG WinConsole includes a Role Management module. This module allows developers or administrators to define Roles and grant them to users. 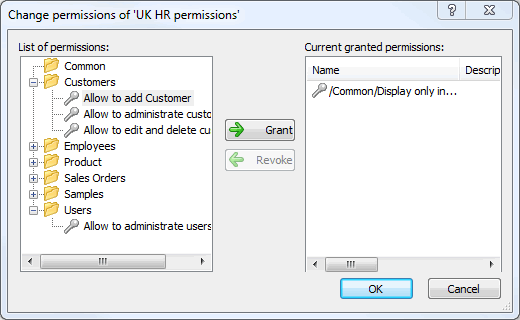 1 – Shared Roles contain permissions for several applications. For example, you may use Shared Roles when your security model includes a limited number of Roles with a large number of applications. 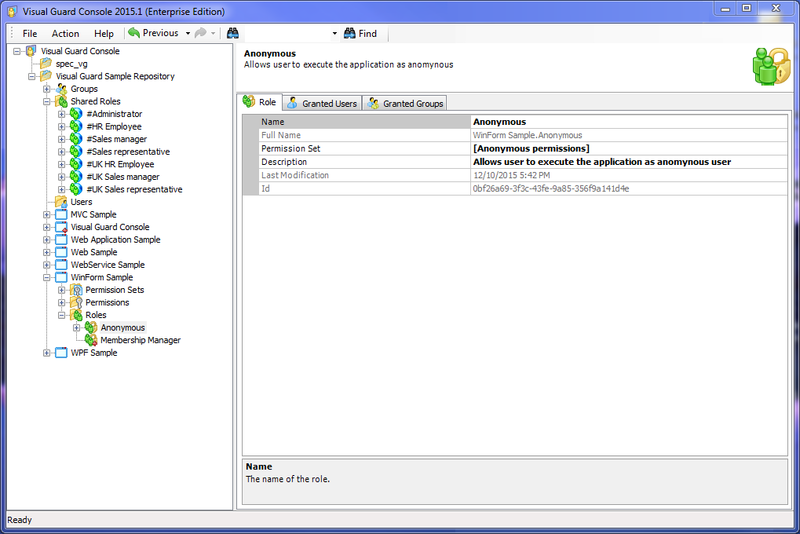 2 – Application Roles contain permissions for only 1 application. For example, you may use Applications Roles when your security model requires more flexibility and the possibility to grant several roles for several applications to each user. 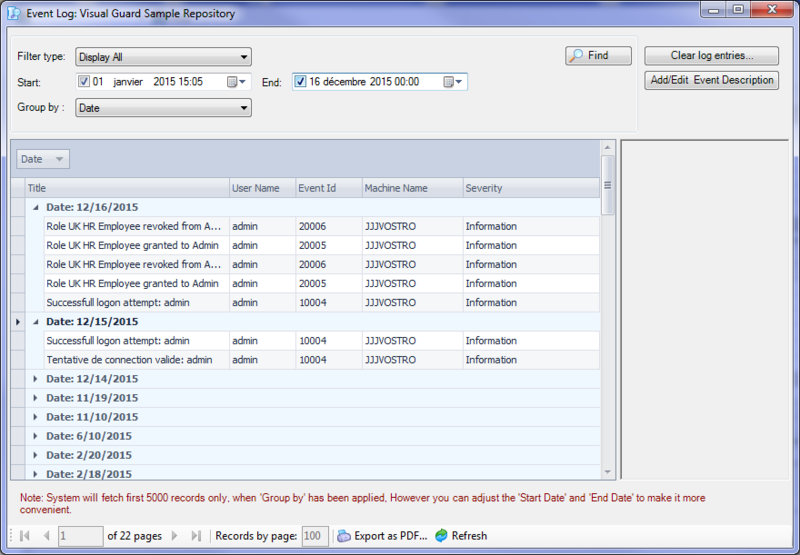 The VG WinConsole includes an Auditing and Reporting module. 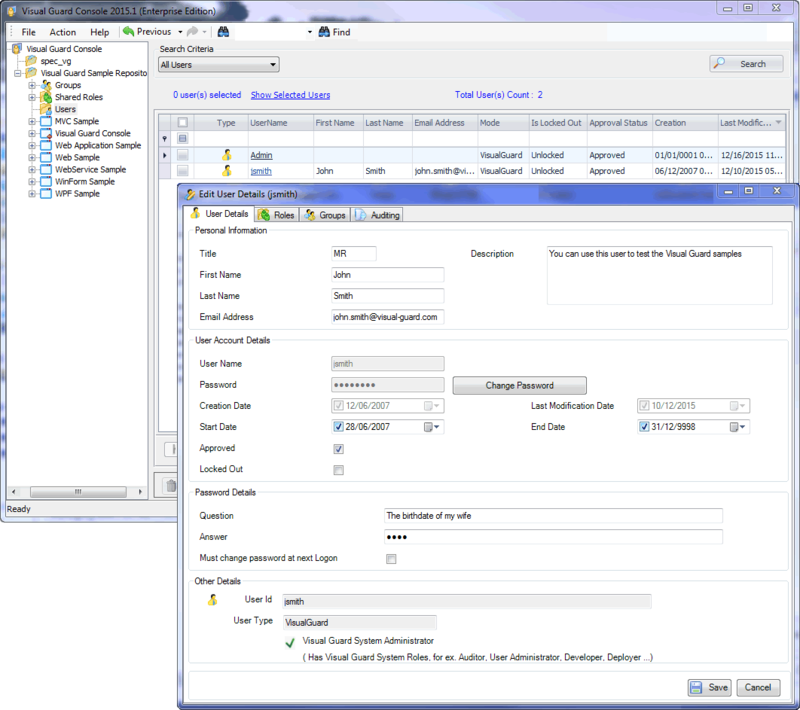 This module allows auditors to review and document the security of the applications. 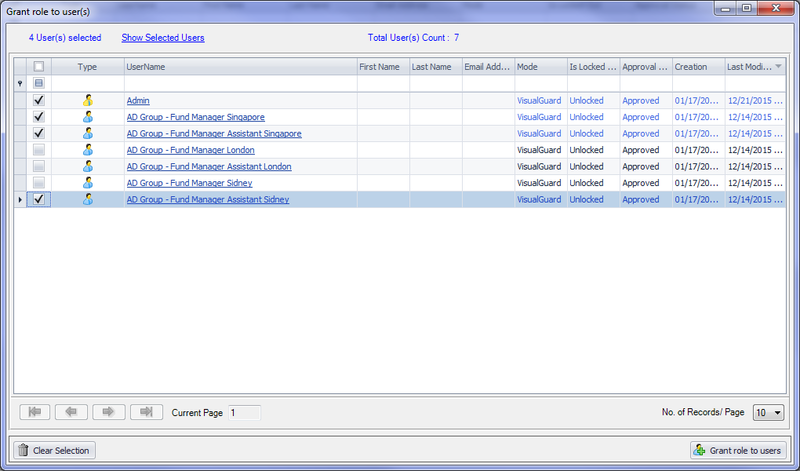 Auditors can also review user operations in real time. Whenever needed, they can focus on a specific transaction: for instance, they can filter for a specific type of operation, a given user, during a given period in time, etc. 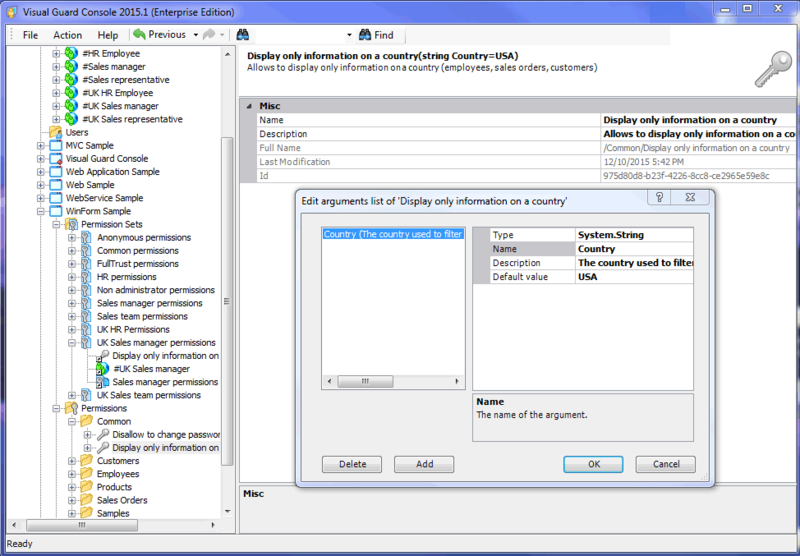 Fig 15 – Using the Event Viewer for Auditing purposes.